While the new volume controls that Google has baked into Android 6.0 Marshmallow are certainly a major improvement over the confusing controls of Android Lollipop, most power users are still left wanting for more detailed sound volume management. 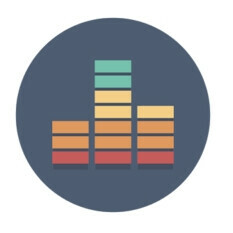 In this article, we'll show you how to use App Volume Control, an app that allows for individual control over the sound volume coming from each app. Why is this important? Well, for one, you could mute notifications when blasting music coming from your favorite streaming app, which is the example that we're going to follow in this tutorial. There are two versions of App Volume Control available in the Google Play Store. One is a free but ad-supported version. The other removes the ads but costs $0.99. Our advice is to try out the add-supported version first and then upgrade to the premium version if you find the app to be useful. When you first open the app, it will ask you to enable its service (which are pieces of code that run in the background). Tap the shortcut to access Android's accessibility settings. In this screen, navigate to App Volume Control Service, then tap it. Set the slider to on! Allow the service to observe your actions by tapping the "OK" button. If you now open App Volume Control, you'll be presented with a list of all your apps. To create a volume setting rule for an app, tap it. App Volume Control allows you to create volume setting rules for when a certain app is opened. In this example, we've set the media playback to 100% when we open Google Play Music, muted the system sounds, and set a minimal volume for the notifications. Experiment with various settings. Another feature that the app brings is the ability to restore certain volume settings when the app is closed. In this example, when Google Play Music is closed, the volumes get restored to their previous setting. Damn this is awesome , didn't know about this! I want BlackBerry level notification control on Android. Why is it so hard? Create profiles, edit them accordingly. Yes, Tasker is awesome !